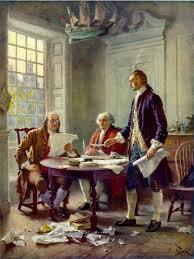 This was a time of great change for the American colonies, where leaders created a new vision for the future. What new vision are you trying to achieve? Taking a page from our founding fathers, what courageous actions might you need to take to achieve that vision? This entry was posted in change and transition, Leadership and tagged presidents day. Bookmark the permalink.